With warm weather nearly all year round, Tel Aviv is the perfect place for a scoop of ice cream. The city’s great ice cream shops have even been said to rival some of the best in Italy itself. We pick our favorite places in the city to find the best flavors. The owners, Italian-born Raffaele (who used to help his parents make ice cream) and Israeli-born Keren, met in Switzerland, and decided to open their own ice cream shop in Israel. Gelateria Siciliana quickly became well known for its delicious ice cream, and some say it is the best in Tel Aviv. The ice cream is made daily on site. Their specialities include an all-natural vegan soy ice cream, and 70 percent fruit and low-fat ice cream. The sorbet is so creamy you would never guess it is low-fat. Try some of their unique flavors such as the pink grapefruit and Campari sorbet or their decadent 70 percent dark chocolate ice cream. This cute and relatively new parlor has some really tasty ice cream, all of which is made from ingredients imported from a small manufacturer in Sicily. 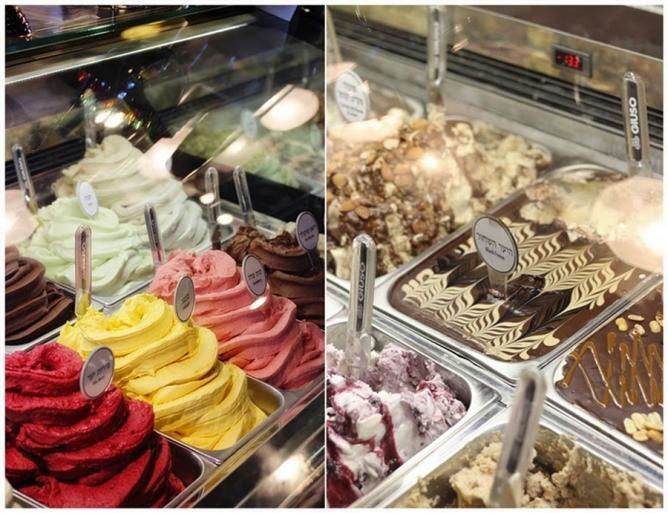 Gelato Factory’s ice cream is made on-site daily, and the ice cream is light and creamy. There are also plenty of options for vegans, including soy-based ice cream and sorbet. Additionally, the shop sells desserts such as waffles, milkshakes and natural frozen yogurt with different toppings. Try the coconut ice cream with berries for a refreshing treat. Aldo Ice Cream has been operating in Israel since 1993 and was one of the first Israeli shops to make premium Italian ice cream. It still uses the finest raw materials, manufactured by Italian companies Montebianco and Torronalba. There are many branches in Tel Aviv, but one of the best is just along the beach promenade, or tayelet. Choose from freshly made dairy, sorbet, vegan or sugar-free options. Two ice cream-loving brothers founded Anita Ice Cream, and named it after their mother who later joined the business. Anita Ice Cream Boutiques have a lovely retro look and their ice cream is as delicious as the surroundings are characterful. As Anita gained popularity, the owners decided to add frozen yogurt counters with unlimited toppings to their boutiques. They also offer sugar-free, vegan, organic and fat-free choices. 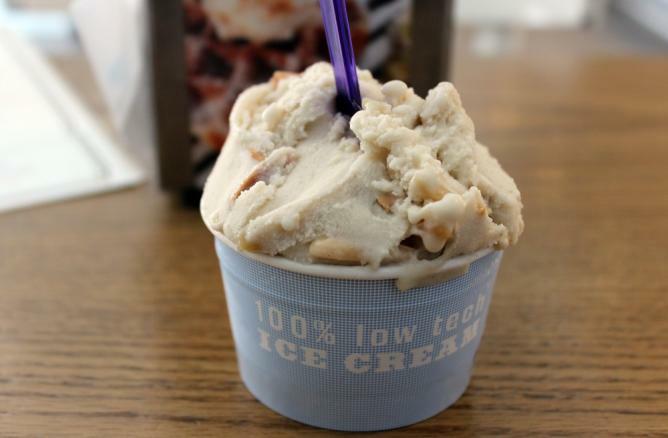 Iceberg is one of the most well-known premium ice cream shops in Israel. Here, they call their ice cream “100 percent low tech”, meaning that all of it is made on the premises from natural, raw materials without any preservatives. Iceberg has a fantastic variety of vegan ice cream as well. Their almond milk and halva ice cream with salted almonds is just as creamy as its dairy-based counterparts. Other Iceberg vegan ice creams are based on hazelnut, rice or coconut milk.